Powerful fizz! 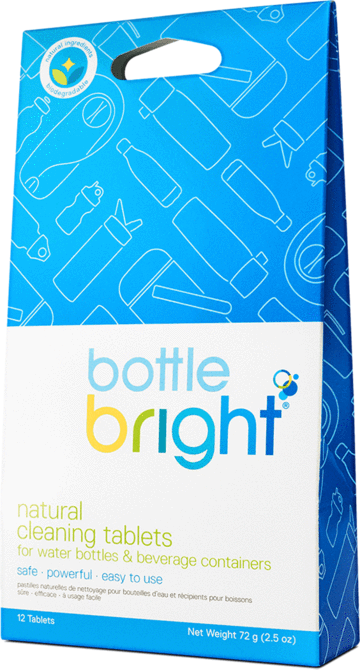 That’s the magic of Bottle Bright, the natural, biodegradable, grime-fighting cleaning tablet that takes your toughest-to-clean bottles to task. 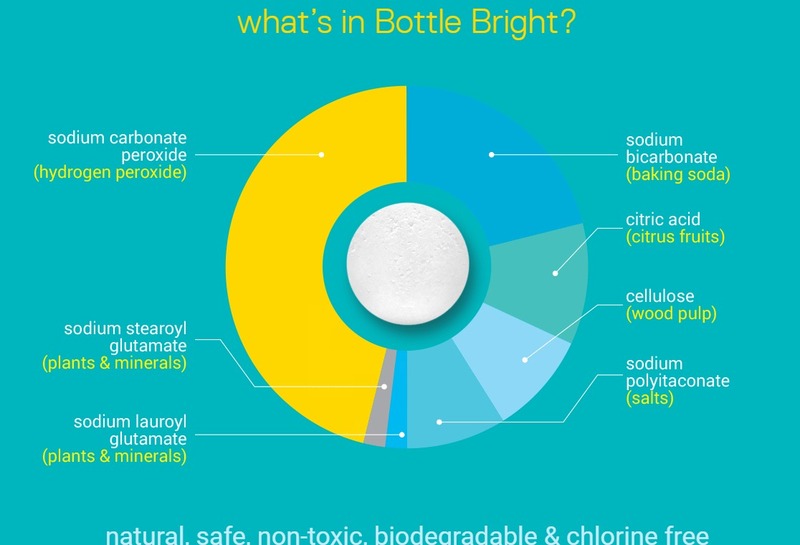 Easy-to-use and ultra-efficient, Bottle Bright tablets dissolve in water creating tiny, effervescent bubbles that power through stubborn stains and odors, taking your favorite bottles and beverage containers from “ewww!” to “oooh!” in only a matter of minutes, no scrubbing, rubbing or sponging required! Natural, biodegradable, chlorine-free & environmentally safe. 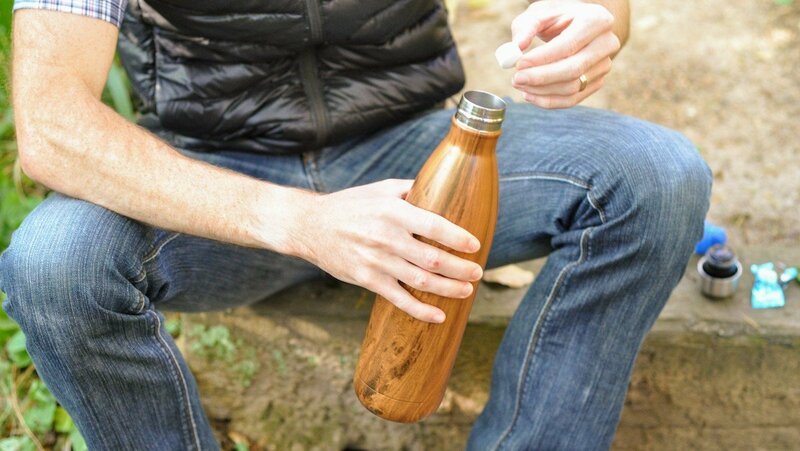 No scrubbing required; the easiest way to clean containers & accessories you can’t put in the dishwasher. No residue, film or taste; works great on stainless steel, plastic, TPU, glass, porcelain, silicone & metal. Use anywhere! Each tablet is individually wrapped so you can clean on-the-go. Ingredients sourced from natural elements right in the USA.